Peter Havens was given life over 20 years ago by Thomas Dahlin and Gregg Van Iderstine. The restaurant has since become a fixture in the Brattleboro community. With Thom’s gracious hospitality and Gregg’s thoughtful cooking, Peter Havens gained a loyal following of locals and travelers alike looking for a warm welcome and delicious food. 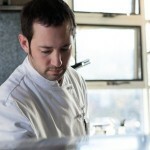 In 2012, Thom and Gregg decided to pass the torch on to a young inspired chef, Zachary Corbin. Without a misstep, Zach continues the Peter Havens tradition of providing fresh, beautiful and consistent food. A native of Vermont, Zach uses his fifteen years of culinary experience to focus on the local bounties of the green mountain state, putting out thoughtful and inspired meals night after night. Coming into Peter Havens you will find a warm, welcoming bar where you can have a full dinner or try one of our specialty cocktails. The modest dining room holds ten tables where you can have an intimate dinner for two or a celebratory party for ten or more friends and family. The staff at Peter Havens is made up of dedicated servers with a passion for quality food, wine and service. 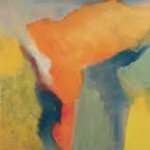 Peter Havens is pleased to be featuring art by local Greenfield artist E. Joseph McCarthy. Joe is an artist with over 30 years of experience painting in oils, watercolors, acrylics and producing ceramic tile murals. His most resent works include a series of large abstract oil paintings, Cityscapes” that stem from his time spent in New Jersey and New York City. His commissioned works include ceramic tile murals at the Tampa International Airport in Florida, Merck Pharmaceutical Co. in NJ, Children Hospital CA and Savannah Hotel in Barbados. Other commissions in 2010 include a ceramic tile mural for the entrance of Annenberg Pavilion, at the Eisenhower Medical Center. Visit his site for more information and sample artwork, or make a reservation at Peter Havens to see the work in person.